On the occasion of IDEAS CITY 2015, the biennial Festival created to explore the future city and to effect change—Storefront for Art and Architecture, along with the New Museum and the New York City Department of Transportation, is launching a Competition for the design and construction of an outdoor structure—a work of “Street Architecture” that facilitates new forms of collective gathering and engagement with the city. IDEAS CITY 2015 is the third iteration of the biennial Festival organized by the New Museum in partnership with the Architectural League of New York, Bowery Poetry Club, Cooper Union, the Drawing Center, and Storefront for Art and Architecture. The 2015 theme, The Invisible City, will be an invitation to explore the question of visibility and related dynamics, including transparency and surveillance, citizenship and representation, expression and suppression, and participation and dissent, as defining forces within the contemporary city. IDEAS CITY 2015 will take place in downtown New York from May 28 to 30 , 2015 . On Saturday, May 30, 2015, the winning entry of this competition will occupy a designated pedestrianized outdoor space in the vicinity of the New Museum and Bowery area and host programs and activities throughout the day. IDEAS CITY 2015 will be organized around a number of stages distributed throughout the neighborhood that will become hubs of activity for a Street Festival taking place on Saturday, May 30. These hubs will host events including live talks, debates, screenings, performances, games, and workshops. For IDEAS CITY 2015, we are soliciting designs for a work of mobile architecture suited for hosting daring feats of oratory. The proposal will be a platform for conversation and debate; the exploration of ideas, dreams, and themes; the proclamation of manifestos; acts of intellectual communion; and declarations of dissent. Proposals that address new forms of civic engagement for the urban context and that consider spaces, typologies, and objects including but not limited to: the Podium, the Mobile Theater, the Speakers Corner, the Megaphone, the Gavel, the Protest Booth, and other tactics supporting interdisciplinary discourse, are encouraged. Proposed projects, which can consist of one or multiple structures, should be able to host citizens of all ages and physical abilities. In cases where multiple structures are proposed, at least one should be able to host a minimum of twenty-five people. While it is not mandatory for the structure to provide shelter from the elements, these amenities would be welcome. Entrants should consider and specify power supply and other technological and digital aspects in their proposals if deemed appropriate. The Competition aims to reinvent a site-less typology with a call for projects that propose new modes of site engagement without a particular site limit. During the Festival, which will be facilitated by street closures TBD [see annex 1], the Street Architecture will be roughly located around the New Museum and its surrounding streets. The information provided in the map is for orientation only and is subject to change. However, it is important to consider the dimension of the streets, sidewalks, fire egress lines, trees, street furniture, and lighting, etc. A bound project documentation book of five pages minimum and thirty pages maximum in portrait format (11 x 17″). The book must contain all the information presented in the panels plus any additional information necessary to evaluate the project in its full scale and scope. Title and Identification Number must be included on the cover page. A sealed envelope containing the signed Identification Form and Privacy and Release Statement. The outside of the envelope should include the Title and Identification Number only. 1. Each submitting team must have as a team leader an Architect or Artist, and include an Engineer. 2. Additional team members from other disciplines are encouraged. 3. The team leader must have graduated or have started an independent practice within the last ten years. 4. There is no limit on the number of Submissions a given organization, team, or individual may submit, but each Submission must be registered separately and be accompanied by a unique Identification Number, separate registration fee payment, and each Submission must meet every Competition requirement. 5. Eligible Person(s) or Firm(s) must go through detailed guidelines and must agree to abide by the conditions mentioned therein before registration. Upon acceptance and after registering such Person(s) or Firm(s) shall qualify to enter the Competition. 6. To be eligible, each Submission must strictly read and comply with all the imperatives of the Festival as given in these Competition Guidelines. In case any entry is found to be noncompliant, it will be disqualified from entering the Competition. In case any Entrant(s) is found to have provided false information before or after registration, they will be liable for disqualification. 7. The Architect must be willing to observe and comply with all laws, rules, regulations, requirements, orders, and directions of any governmental authority that may pertain to the Architect’s activities, and will be responsible for such observance and compliance from each agent, employee, contractor, or subcontractor engaged by the Architect in connection with the project. 8. By entering the Competition, any and all Entrants, and where applicable, their predecessors, successors, assigns, heirs, officers, directors, attorneys, agents, affiliates, parents, subsidiaries, employees, shareholders, and any other person or entity similarly situated, agree in full to these Terms and Conditions. 9. No Entrant shall receive or be entitled to receive any payment as a result of a submission or for granting the promoters any right here in or associated with the Competition except an award pursuant to the rules herein. 10. All registration fees are nonrefundable and nontransferable. The winner will be awarded a production budget of $20,000 for construction, assembly, and disassembly. Additionally, the selected team will be awarded a design/managing fee in the amount of $7,500. All other production and fabrication expenses exceeding $20,000 shall be assumed by the winner. The winner will work with the Festival task­force committee to realize the design and work with the organizers to obtain all permits and will be responsible for project management of manufacturers/vendors to produce the project. 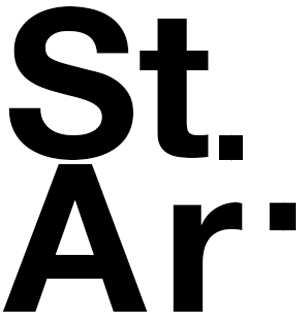 All questions should be emailed to StreetArchitecture@storefrontnews.org by February 2, 2015. Relevant questions and answers will be posted on the Street Architecture page found on the www.storefrontnews.org website before or on February 6, 2015. Competitors are required to register their intention to enter. This registration must be received by January 23, 2015 before midnight by submitting their application online at https://storefront.submittable.com/submit/37630 , which includes a $50 registration fee. Projects will not be juried without valid registration. After registration, each Entrant will receive an email with registration confirmation including a unique Identification Number of 7 digits. Competitors must not communicate with the Jury about the Competition in any way until there is a public announcement of the winner. Copyrights regarding the Projects shall remain the property of the Architect. The actual structure will become the property of the New Museum and may be utilized by Storefront for Art and Architecture, the New Museum, and other institutions for future events and venues. Submitted materials shall not be released nor exposed in public, press, or other media before the announcement of a winning entry or the cancellation of the Competition. The Architect agrees to permit Competition sponsors to use the submitted materials for public posting, publication, or exhibition, or for archival, promotional, educational, and other purposes as such institutions shall determine. The Jury and/or Storefront for Art and Architecture reserve the right to cancel or suspend the Competition for any reason, including those causes beyond the organizer’s control that could corrupt the administration, security, or proper participation in the Competition. Submissions must be delivered to the Storefront for Art and Architecture gallery at 97 Kenmare Street on February 22 or February 23, 2015, between 11 a.m. and 6 p.m. EST. The winning entry will be directly contacted in late February 2015; a public announcement will follow in March 2015. IDEAS CITY 2015 is the third iteration of the biennial Festival organized by the New Museum in partnership with the Architectural League of New York, Bowery Poetry Club, Cooper Union, the Drawing Center, and Storefront for Art and Architecture. IDEAS CITY was founded by the New Museum as a major collaboration between dozens of downtown arts, education, and community organizations to harness the power of the creative community and imagine our collective future. This initiative is built upon the core belief that arts and culture constitute a driving force behind the vitality of urban centers worldwide. The inaugural Festival was launched in May 2011. It included a three-day conference of symposia, lectures, and workshops with visionaries and leaders, including exemplary mayors, architects, artists, and technology experts; a Street Festival with an innovative urban installation along the Bowery featuring over one hundred organizations and small businesses presenting model products and practices for a better city; and hundreds of independent projects and public events attracting over 70,000 participants. The overwhelmingly positive response led to the Festival’s establishment as a unique biennial event in New York City. 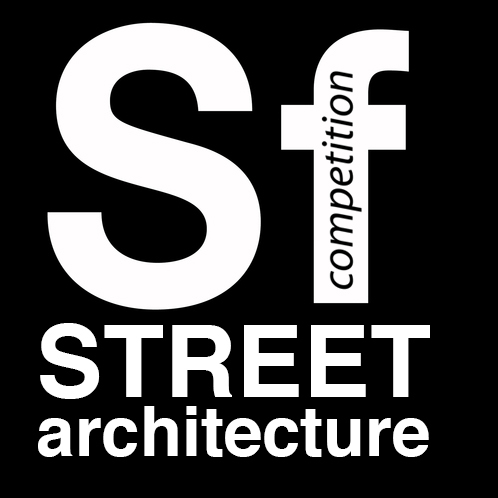 The Street Architecture Competition is organized by Storefront for Art and Architecture and sponsored by the New Museum with the support of the Department of Transportation. This Competition is supported by a grant from the National Endowment for the Arts. Art Works. With the media support of Architizer.